LDL-C levels were lower in the pravastatin group vs usual care. Pravastatin as primary prevention did not improve overall mortality or reduce the risk of myocardial infarction (MI) or coronary heart disease (CHD) events in adults aged 65 years and older. These results from the Lipid-Lowering Trial (LLT) component of the Antihypertensive and Lipid-Lowering Treatment to Prevent Heart Attack Trial (ALLHAT-LLT; ClinicalTrials.gov identifier: NCT00000542) were published in JAMA Internal Medicine. Whether statins should be used as primary prevention in older adults is unclear, as current evidence is conflicting regarding the role of statins in reducing atherosclerotic cardiovascular disease (ASCVD) events and all-cause mortality in this population. In addition, data are lacking for statins as primary prevention in adults older than 75 years. The ALLHAT investigators, led by Benjamin H. Han, MD, MPH, assistant professor in the Departments of Medicine-Division of Geriatric Medicine and Palliative Care, and Population Health at New York University Langone Medical Center in New York City, evaluated whether pravastatin as primary prevention improved overall mortality and ASCVD outcomes in adults aged 65 to 74 years and ≥75 years in a post hoc secondary analysis of the Lipid-Lowering Treatment (LLT) component of ALLHAT. The primary outcome of the LLT component was all-cause mortality. Secondary outcomes included cause-specific death and combination fatal CHD or nonfatal MI. A total of 1467 patients from ALLHAT, an antihypertensive trial, were randomly assigned to pravastatin (40 mg/d) or usual care. At 6 years, 77.9% of patients in the pravastatin group and 29.0% of patients in the usual care group were taking a statin. 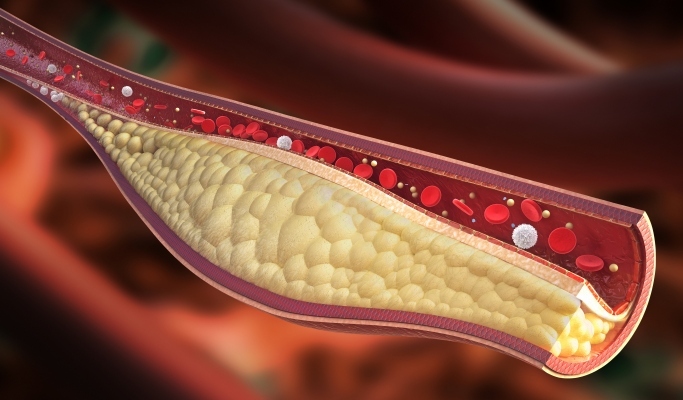 Low-density lipoprotein cholesterol levels were lower in the pravastatin group than in the usual care group (109.1 mg/dL vs 128.8 mg/dL). Rates of all-cause mortality at 6 years were similar in both the pravastatin and usual care groups in patients aged ≥65 years (hazard ratio [HR], 1.18; 95% CI, 0.97-1.42; P =.09), aged 65 to 74 years (HR, 1.08; 95% CI, 0.85-1.38; P =.55), and aged ≥75 years (HR, 1.34; 95% CI, 0.98-1.84; P =.07). Although not statistically significant, there were more deaths with pravastatin than with placebo in both age groups. No differences were observed between the groups for CHD events, cause-specific deaths, stroke, cancer, and combination fatal CHD or nonfatal MI. 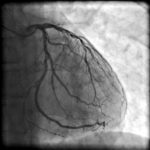 “In our subanalysis of a large randomized controlled trial there was no benefit of initiating statin therapy when used for primary prevention for adults [aged] 65 years and older, and the suggestion of harm especially for those [aged] 75 years and older,” Dr Han said in an interview with Cardiology Advisor. “The evidence for the benefits and risks of statins for primary prevention among older adults remains unclear; future studies are needed to better understand who among older adults may benefit from statins and who may be harmed. Studies that include functional status and frailty may help better answer these questions,” Dr Han added. Close more info about Is Pravastatin Effective as Primary Prevention Against CHD Events in Elderly?